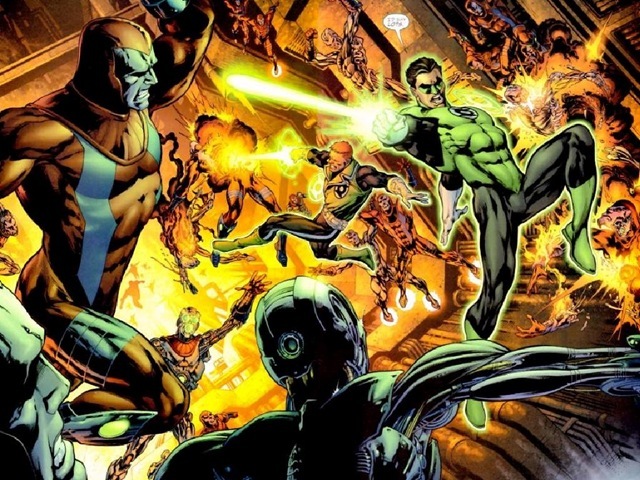 MOVIE NEWS: Green Lantern is Closer to being Cast! Could it be Justin, Ryan or Bradley? It looks like the new Warner Brothers Green Lantern movie is heating up. The Hollywood Reporter is saying that the suits have narrowed the field down to three – Justin Timberlake, Ryan Reynolds and Bradley Cooper to play the Emerald Hero, Hal Jordan. I never understood why it took this long for Warner Brothers to get behind a Green Lantern film. It seems like it’d be an “easy” film to make due to the fact that his powers are all based on being able to create constructs out of light and the very concept of Green Lantern is that it’s a police Corps, granted the story centers on Earth’s protector Hal Jordon, but theoretically any film version didn’t necessarily have to be about Hal Jordan. They could have used any number of Green Lanterns like John Stuart (whose black), Guy Gardner, or created their own character and still remain true to the source material. I would put Vegas style money on the idea that they’ll go with Bradley Cooper. Ryan Reynolds already has a Super Hero movie in Deadpool, Justin Timberlake while being pretty good as an actor doesn’t really fit the part. Who is Bradley Cooper? He was in the surprise summer hit, The Hangover, one of the stars of Nip/Tuck, and is in the upcoming A-Team.